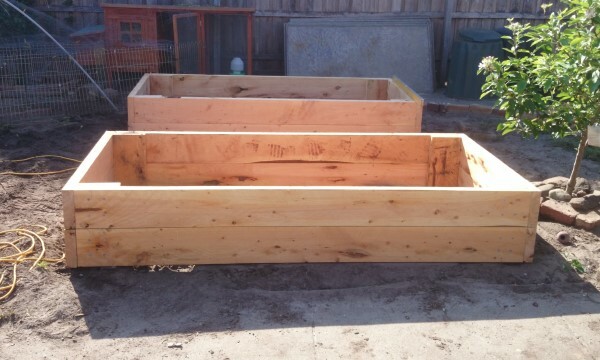 Yummy Gardens sell veggie bed kits using ethically sourced, reclaimed Cypress Macrocapra sleepers which are both environmentally friendly and hard wearing. The timber is pre-cut, drilled and comes with 100mm screws - ready for you to put together yourself. Our kits come in many different sizes but the most popular is 2400mm x 1200mm x 400mm high which costs $305- pickup from our workshop in St Andrews. Delivery can also be arranged, please contact us for a quote. We can custom make veggie bed kits or planter boxes to your design and style. If you would like a custom made bed or box, please contact us for a quote.